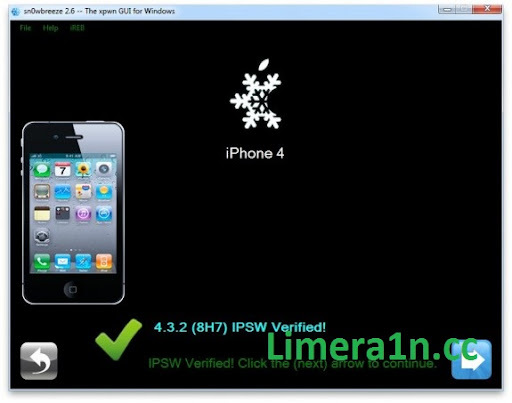 Sn0wbreeze 2.7 (aka PwnageTool for Windows) has just released to untethered jailbreak iOS 4.3.3 on iPhone 4, iPhone 3GS, iPod touch 4G, 3G and iPad via a pre-jaibreak custom firmware. Who rely on unlock should use Sn0wbreeze not Redsn0w , Why ? Sn0wbreeze 2.7 allows you to jailbreak untethered iOS 4.3.3 with preserving old (unlockable) baseband for iPhone 4, 3GS to unlock it with the current version of ultrasn0w. Step 1: Start Sn0wbreeze, click the next “blue” colored arrow to proceed. Step 2: Select the required firmware .ipsw file for your iOS device by clicking on the “Browse” button. Step 3: Sn0wbreeze will now identify the selected IPSW file. Once done, click the next “blue” colored arrow to proceed. Step 4: Now select the “Expert Mode”, followed by “Build IPSW” option to start creating your custom firmware. Step 5: Sn0wbreeze will greet you with the following “Done!” message when the custom firmware has been successfully created. Step 6: Now follow the onscreen steps to enter DFU mode using Sn0wbreeze. Step 7: Start iTunes, click on your iOS device icon from the sidebar in iTunes. Now press and hold Left “Shift” button on the keyboard and then click on “Restore” (Not “Update” or “Check for Update”) button in iTunes and then release this button. This will make iTunes prompt you to select the location for your custom firmware 4.3.3 file. Select the required custom .ipsw file that you created above, and click on “Open”. Step 8: Now sit back and enjoy as iTunes does the rest for you. This will involve a series of automated steps. Be patient at this stage and don’t do anything silly. Just wait while iTunes installs the new firmware 4.3.3 on your iOS device. Your iOS device screen at this point will be showing a progress bar indicating installation progress. After the installation is done, your iOS device will be jailbroken on iOS 4.3.3. 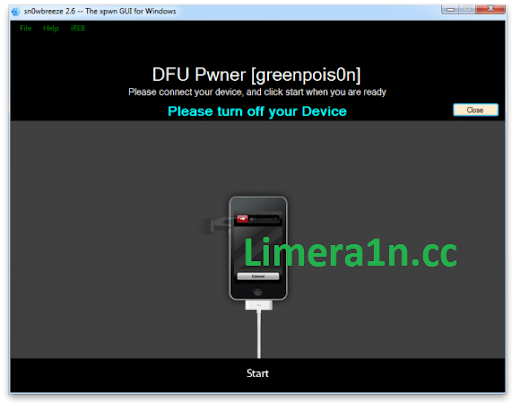 Download Sn0wbreeze 2.7 for Windows.